The Orthodox School of Theology follows the academic year of the Trinity College Faculty of Divinity which comprises two main terms, known as the Michaelmas or Fall Term (September-December) and the Easter or Winter Term (January-April), with a break for the Christmas vacation. Regular attendance is expected. There is also an optional summer session in which some courses approved for TST credit are offered. Students may enrol online using the Student Web Service, ROSI (Repository of Student Information). 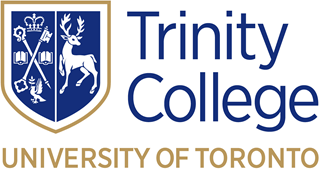 Tuition and compulsory incidental fees are set by Trinity College, the Toronto School of Theology, and the University of Toronto in accordance with policies of the Ministry of Colleges and Universities in the Province of Ontario. A copy of the current Fees Schedule and Policies is available on request from the Divinity Office. Students are permitted to register only after they have made satisfactory arrangements with the Bursar's Office for the payment of fees. Evidence of ability to comprehend, speak, and write English at the graduate level is required for applicants whose first language is not English. Graduation with an Arts degree from an institution where the language of instruction and examination is English, or a score of 600 in the Test of English as a Foreign Language (TOEFL) with a 5.0 in the Test of Written English (TWE) may be accepted as evidence of this ability. Foreign students will be charged higher tuition fees unless they provide the Registrar with appropriate documentation from the Canada Immigration Board exempting them from the higher fees. Students arriving in Canada on a student visa will not be exempted from the higher fees. Appropriate documentation must be provided to the Registrar each session or immediately upon a change in status in Canada. Foreign students are not covered by the Ontario Health Insurance Plan. See Health Insurance, below. For further information consult the Registrar's Office. All students are responsible for obtaining their own health insurance for the period of their study at the Orthodox School of Theology at Trinity College. Canadian students are covered by their own provincial/territorial health plans, but students from outside Ontario should consult the appropriate authority for information on possible limitations. Foreign students must purchase mandatory coverage for themselves and their dependants through the University Health Insurance Plan (UHIP). All full-time students are automatically members of the University of Toronto Students' Union (formerly the Students' Administrative Council) and are automatically enrolled in the UTSU Health and Dental Insurance Plan and automatically receive medical and dental insurance coverage. The plan covers each eligible student for a full 12 month period beginning September 1 and ending August 31 of each year. For further information, please refer to the UTSU website. Part-time students should make private arrangements for an additional extended health plan to help cover the cost of prescription drugs, dental work, and other benefits. Official transcripts of academic work may be obtained by filling out the Divinity Transcript Request Form (PDF). Transcript Request Forms are also available to be picked up in person at the Registrar's Office. Please allow 5-7 business days for processing time. The cost for each transcript is $10.00 per copy, each time it is requested. Transcripts will be sent via standard mail, however, please be aware that transcripts sent via this method cannot be tracked. We are happy to send transcripts via courier if specifically requested, but please note that transcripts sent via courier will be subject to an additional fee. Transcripts sent internally to the University of Toronto will be processed free of charge, however, must be sent directly from Trinity College to the required University department. We are also able to fax or e-mail unofficial transcripts directly to academic institutions, if specifically requested, at a fee of $10.00 per copy. Transcripts will only be processed once payment has been received. Diplomas and transcripts will not be issued for students who have outstanding accounts with the Bursar's Office or the Library. For payment inquiries, please contact the Bursar's Office. Please note that applications for the Ontario Graduate Scholarship (OGS) no longer require paper transcripts. Please see the OGS application online for more information. The John W. Graham Library serves Trinity and Wycliffe Colleges. It provides collections and services to support Basic and Advanced Degree studies in theology, especially courses taught in the two Colleges, and to maintain research strength in particular subjects as part of the Toronto School of Theology library co-ordination program. The collection is strongest in church history, theology and liturgics; Biblical studies; philosophy; and religious studies. More detailed information about the library, including special collections and hours is available on the library section of the main Trinity College website. Trinity students also have access to all the other libraries at the University of Toronto, including the John P Robarts Research Library and the Kelly Library of St Michael's College, both of which have extensive resources in all fields relevant to Orthodox studies. The Trinity College Archives are located in the basement of Owen House in the main building. The mandate of the Archives is to acquire, preserve, and make available to researchers the non-current corporate records of the College and other records of academic, administrative, and historical importance to the College. It contains some 1200 cubic feet of records, most of which are open to researchers, including such materials as calendars, student publications, and the personal records of some of the people who have taught in the Faculty of Divinity. All students enrolled in Orthodox School of Theology at Trinity College are included in Trinity's 'Divinity Class'. The Divinity Class meets regularly, elects its own officers, and exercises the functions of student government. The chief student officers are the 'Co-Heads of Divinity', who by virtue of that office shares in the government of Trinity College and the Faculty of Divinity on many levels. Divinity Class representatives serve on Divinity and College committees as noted in the Student Handbook. The Divinity Common Room, located near the Chapel, is the setting for much of the community life of the Faculty of Divinity. The College cafeteria, known as The Buttery, is also frequently used by students and staff for conversation and refreshment.